View UNR Med Stands With You on YouTube. 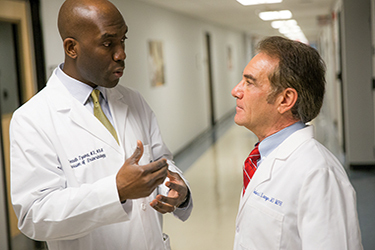 The Council on Diversity Initiatives was launched in 2012 to advance the culture of diversity and inclusion at the University of Nevada, Reno School of Medicine. The Council sponsors and promotes events that contribute to cultural awareness among the School of Medicine community. One such recent event was The Road to Medicine: Dare to Dream, Dare to Succeed event presented by Dr. Wilfredo Torres. He spoke about his experience as a child refugee of El Salvador and he encouraged students from underrepresented backgrounds to look into careers in medicine. In our bi-monthly meetings, the Council discusses opportunities on campus and in the community for special events, outreach and collaborations. 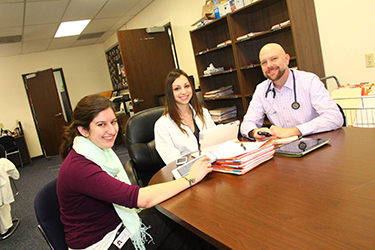 The Council provides training resources for School of Medicine faculty and staff and remains active in participating in diversity studies. For example, the Council partnered with the Office of Faculty Development to sponsor Safe Zone training. This training provided School of Medicine community members awareness and sensitivity to LGBTQIA issues and tools to foster a supportive environment for students, faculty members and staff. The Council includes representatives from the Office of Student Admissions and student interest groups to support a diverse learning environment. Council members also represent School of Medicine faculty members who are active in research on how implicit bias can contribute to disparities. Diversity has a broad definition, but the mission is always the same: to enhance the school of medicine learning and working environment. The Council on Diversity Initiatives supports all of the missions of the School of Medicine through its representation and initiatives. Read more about UNR Med's new Mission-Based Diversity Groups.